Fine Quality Circular Dining Table of good size proportions, possibly Irish. 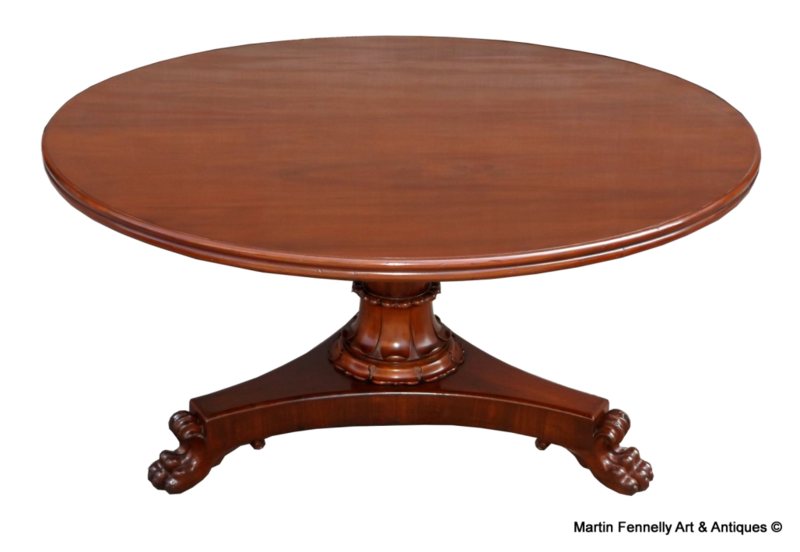 The solid Mahogany circular tilt-top with fine strikingly figured Mahogany . 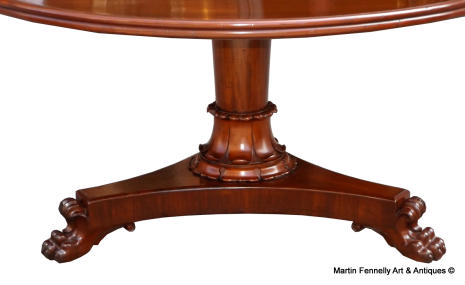 The Table was restored and Hand Waxed by our master craftsmen and is a lovely piece of furniture. The top is raised on an ornate baluster central shaft on triform platform terminating on carved Claw feet with original metal castors.